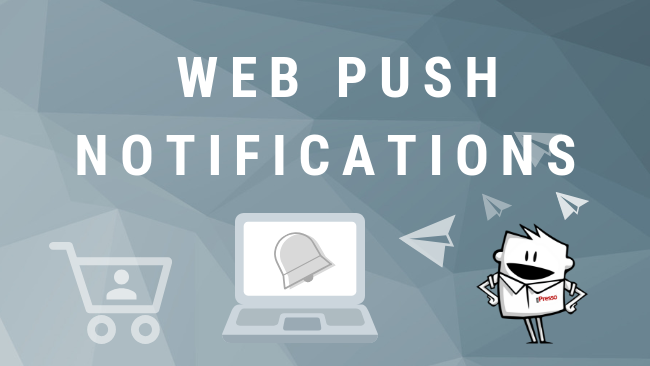 Web Push notifications are a great way to get your message across to website users, blog readers, shoppers and subscribers on a timely basis. You can use them to drive more traffic to your website, inform your customers about new promotions, recover abandoned carts, and re-engage your audience in many different ways. Web Push notifications are a communication channel that enables marketers to reach their users and customers in real time. However, to make them really effective, it is crucial to keep in mind some rules. Just as in any other case of marketing communication, when using web push notifications it is important to understand what your goals are and how you are going to achieve them. This allows you to work out a long-term strategy and communicate with your users in a more systematic and comprehensive fashion, which will in turn translate into better conversion results. Web push notifications allow a limited number of characters, which forces you to create messages that are very clear and precise. There’s no space for unnecessary information here – your message should be crisp and specific, so that the recipient knows right away what you are telling him and what he can do to benefit from it. That’s why it is recommended to include a ‘call to action’ in the message. In order to run effective communications it is crucial to learn as much as possible about the users’ behavior, traits, and preferences. This will allow you to segment them into various groups of recipients and tailor your message to address specific target groups with the most relevant message. You should always keep in mind that your uses may have agreed to receive this kind of communications from several different websites, which doesn’t mean that they want to be constantly flooded by messages interrupting their work. That’s why you should consider the right frequency of sending your web push notifications. Sending too many promotional messages could have the opposite of the intended effect. On the other hand, you don’t want them to completely forget about you… That’s why it’s crucial to find the right balance! When an internet user agrees to receive web push notifications from you, they are trusting you to send them only such content that will be relevant to their needs and expectations. You don’t want to abuse their trust by sending out completely random stuff, which could result in them withdrawing their permission to receive notifications. That’s why it is important to use what you know about their preferences, needs and expectations, to deliver compelling and highly relevant message. Effectiveness of web push notifications is strongly affected by the time at which they are sent. Try to choose the most appropriate moment, e.g. by avoiding office hours or not sending messages early in the morning. The more you know about the recipients, the easier it gets to choose the best moment for contacting them. It is crucial to have access to analytic tools which will provide you with detailed data on the performance. Tracking and analyzing the results achieved by particular campaigns allows you to optimise the strategy, improve your messages, and avoid mistakes.